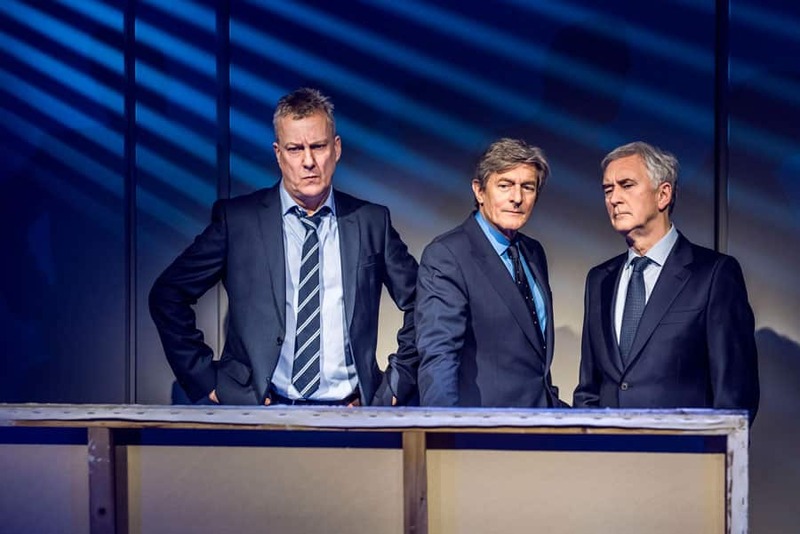 Glorious Old Masters – we talk to Nigel Havers, Stephen Tompkinson and Denis Lawson on the first day of rehearsals for the ART UK Tour. 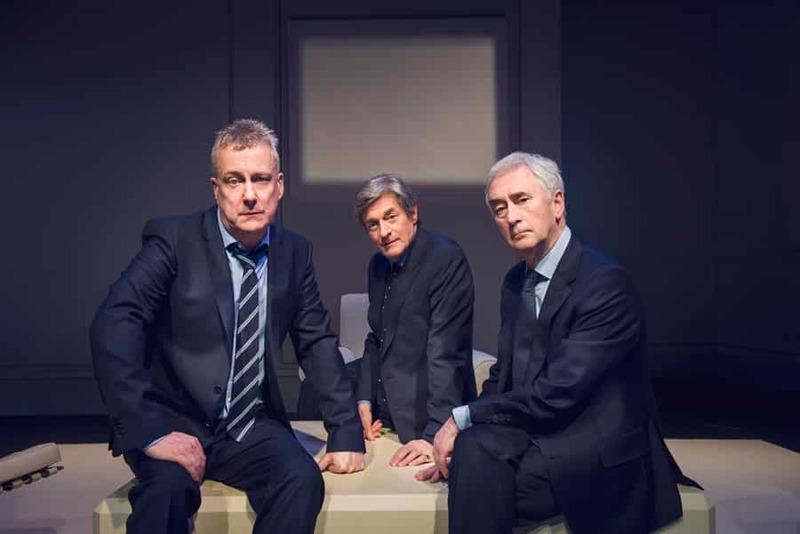 Waiting to chat to Nigel Havers, Stephen Tompkinson and Denis Lawson on the first day of rehearsals for ART I overhear a waitress detailing the ingredients of the soup of the day. 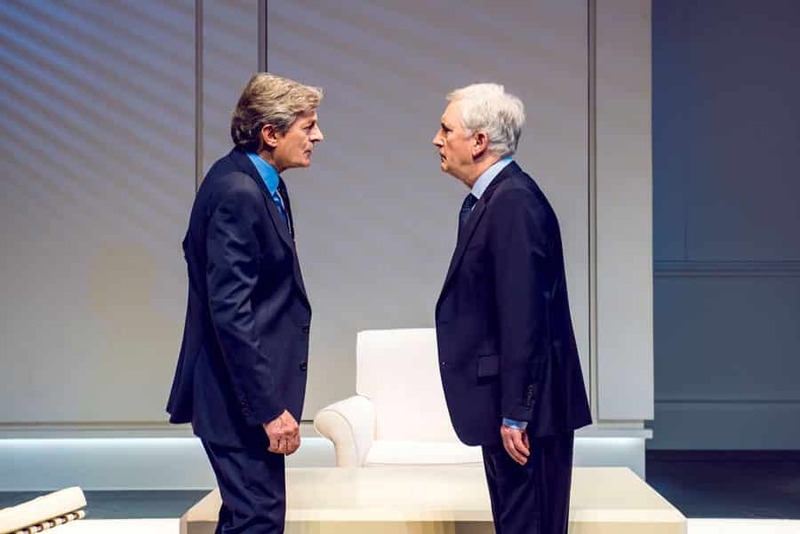 It occurs to me that the producers of Yasmina Reza’s award-winning play might have had a similar approach: Take one of the most successful comedies of all time; cast three of our best-loved and most experienced stars and mix well with a talented director. Garnish with marketing and serve at some of the UK’s finest theatres. Voilà! One smash-hit. With a clutch of heavyweight credits between them, all three actors agree that ART is the theatrical equivalent of European white truffles. He may not have been in the play before, but Denis (Bleak House, New Tricks and Star Wars) is nevertheless delighting in learning his lines. “I had seen it but had never read it and it is such a pleasure to dig into. The comedy is just wonderful,” he sighs. Winner of just about every prestigious theatre award going, ART tells the story of Serge, a divorced doctor who buys an abstract painting. Serge’s friend Marc is outraged that anyone would pay such a vast sum of money for a completely white canvas and dismisses it as tosh. Mutual friend Yvan tries to reconcile the pair, but before long finds himself in the line of fire. Laugh-out-loud funny, it is undoubtedly the exploration of friendship within the sparkling writing that gives ART truly universal appeal, so what, I ask, are the qualities Nigel, Stephen and Denis appreciate in their friends? “Tolerance and malleability,” quips Stephen. Nigel also still has strong links with friends from childhood. “It is a good feeling and they are like family in a way,” he observes. But out on tour, the triumvirate will become their own family. How do they amuse themselves when they’re not performing? “You arrive on Monday, so that’s taken care of, Tuesday usually includes some sort of publicity for the play, Wednesday is probably a matinee, Thursday you might visit a gallery, Friday you sleep in and then on Saturday you go home,” offers Nigel, explaining that even living out of a suitcase and being somewhere different every week has its own rhythm. “I’ve not toured for a while but if there’s one of those hop-on-hop-off buses then I’ll be on it,” admits Stephen. “You learn all sorts and they’re very good for finding your bearings,” he insists. Agreeing that there will be “a lot of epicurean feasting” along the way, eating out seems to be a popular cast activity, with all the towns and cities on the tour schedule getting the collective thumbs up for restaurants and pubs. Twenty years since David Pugh & Dafydd Rogers first produced ART in the West End, the original post-London tour played for 78 weeks. Aiming to break their own record, Pugh & Rogers have every faith that such a top-notch cast gives them every chance of success. “It doesn’t date; it still feels fresh,” promises Denis. Before I leave I explain that my Nan is beyond excited that I’m meeting (in her words) ‘Silver Fox thespian royalty.’ They oblige with a selfie, giving Nan her own work of art to treasure. As for me, I make a mental note to book tickets to see these glorious old masters in action sooner rather than later. I’ve a hunch that tickets will sell faster than a looted Rembrandt.